An amazing and inspiring record of service and heroism. Nebraskan Sgt. Max Burns joined the AAF in 1938, retiring in 1964. He was at Pearl Harbor, Hickam Field on Dec. 7, 1941. Awakened by the sounds of exploding bombs, Burns was ordered to man a machine gun atop an aircraft hangar with a comrade. He writes, in a letter to his mother, that they were firing at incoming Japanese planes, without apparent effect, when a bomb blew them off the hangar onto the roof of a paint shed below. Except for cuts and bruises, both were unharmed. Sgt. 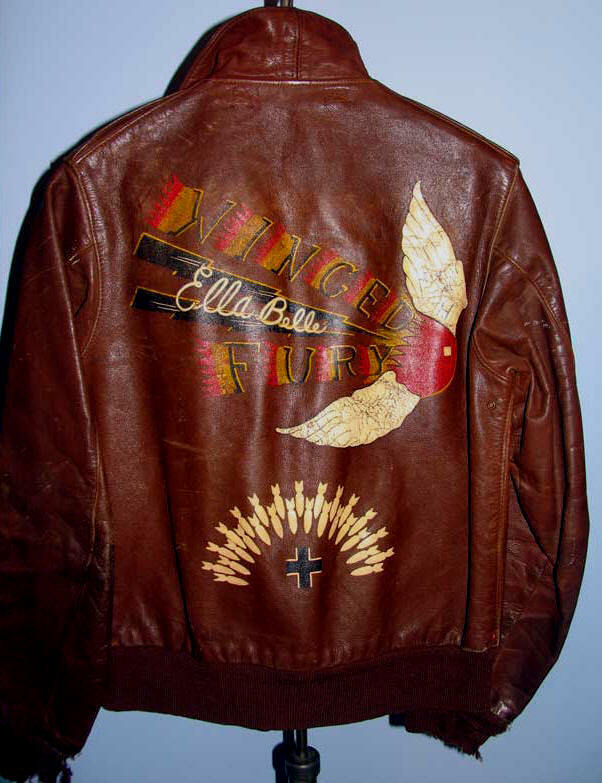 Burns went on to fly 25 missions as tail gunner in the Pacific with the 13th Air Force, then 27 more in Europe with the 563rd Bombardment Squadron, receiving the DFC with Three Oak Leaf Clusters and the Air Medal with Four Oak Leaf Cluster. The extraordinary A-2 faithfully charts Sgt. Burns' WWII service, indicating every posting, from the Pacific to England. 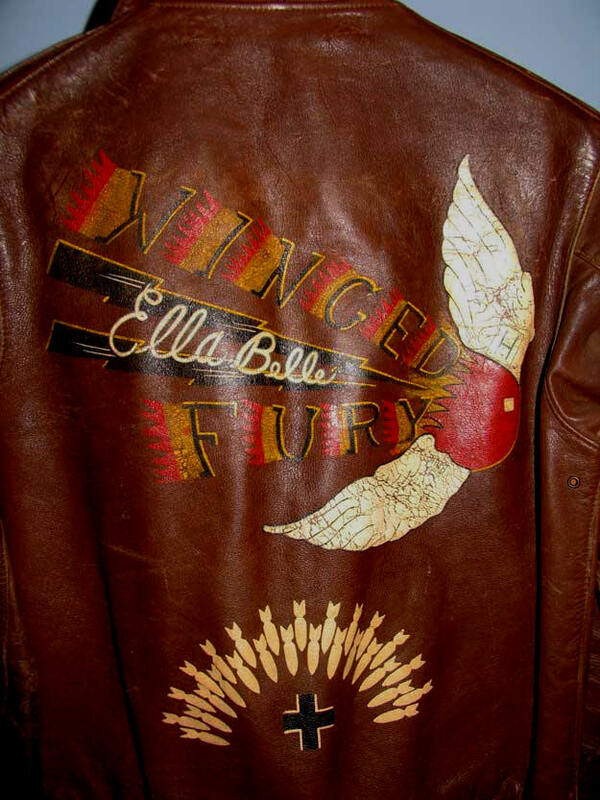 The back of the Jacket commemorates his 8th AF B-17, "WINGED FURY," in stunning vibrant colors. 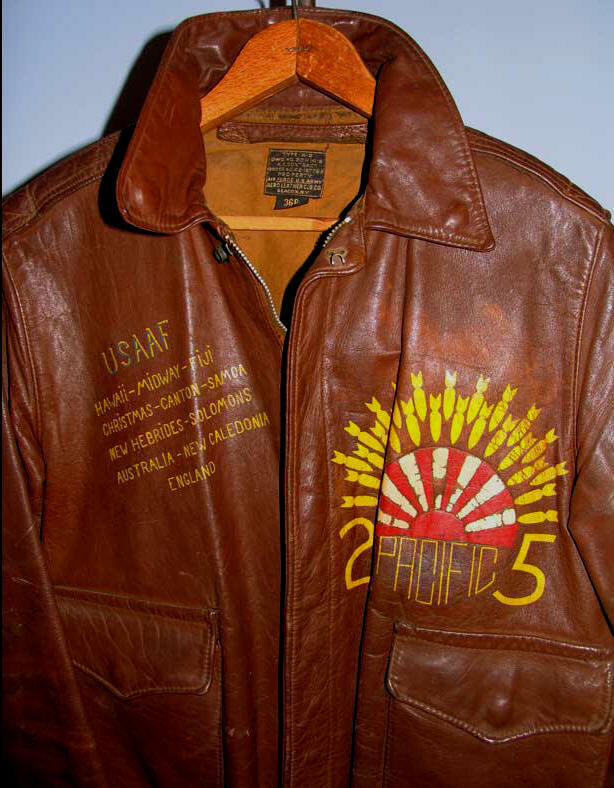 The artwork on this entire Jacket, done, it appears at the same time at the end of the war, is professional, virtually unfaded and striking. The Burns A-2 is in Mint condition except for the cuffs, where moths have done what the Axis couldn't! 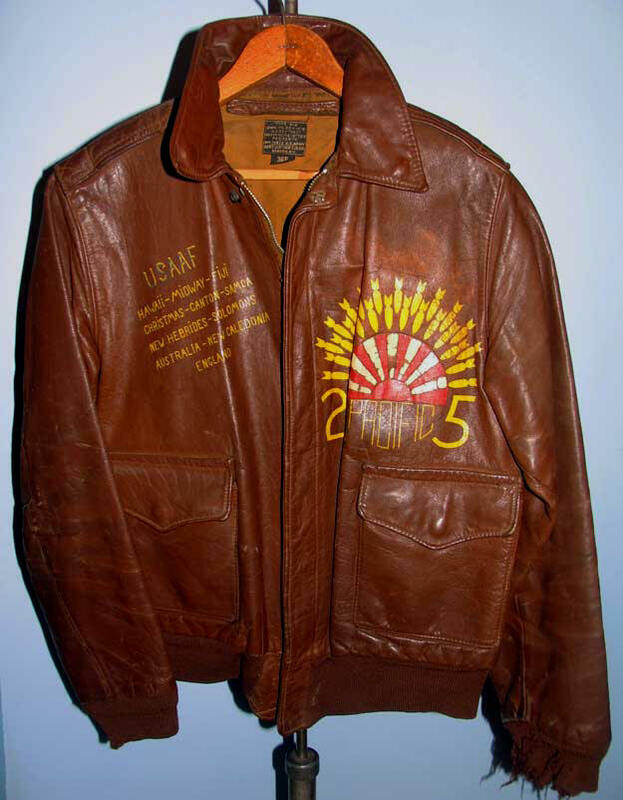 We thank Carolyn Hayes of Oregon for kindly making this magnificent A-2 Jacket available to our Collection.